Once your ISP(Internet Service Provider) has notify you your service has been activated, you will need the MDF jumper by an ACMA registered cabler if there is MDF(s) in your building. We are ACMA registered and provide MDF jumpering services and related phone line issues. Need an additional internal phone line and socket installed within your home or business? 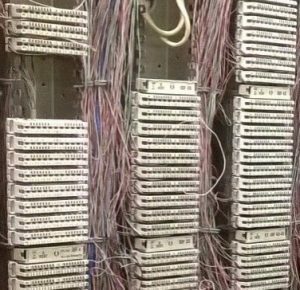 Not sure what’s wrong with your current phone line or mess up with security alarm system? Faulty phone line? Extremely slow internet or low WIFI speed? Book an appointment with your name, contact number and address, call us on 0488 033 022 or via Email Leact.Lee@leact.com.au for SAME DAY or NEXT DAY services. All cabling work, including telephone, data, fire and security alarm systems cabling, that connects with the telecommunications network must be performed by a registered cabler or under the direct supervision of a registered cabler.